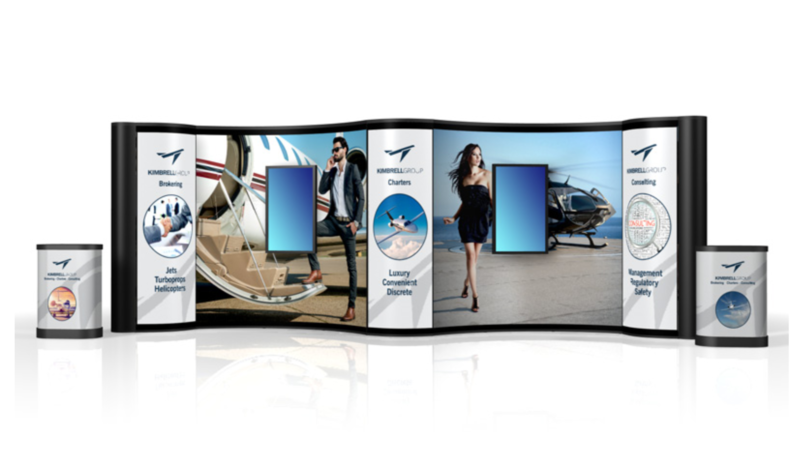 This is a professional high quality curved or gull wing convention pop up display. It has been used once for a 3 day trade show. I paid $4600 just for this auction not including the extras. 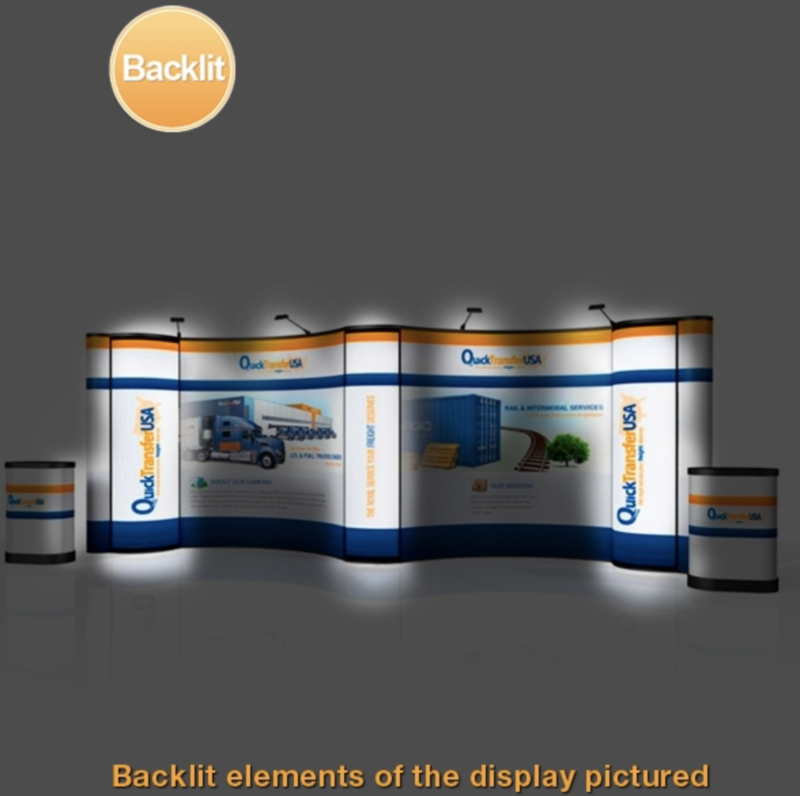 The panels are easily ordered from Monster Displays or other providers to meet your requirements. The original panels will be sent with the sale. Please note that the Monitors and Monitor Case are not included in this auction but if you need check my other actions. The monitor 2x Energy XL Monitor Mount KIT are included which cost me an additional $1100 option. The two oval hard cases also have panels for them to be used at display. Some of the pictures are stock photos so show different examples of setup but the first photo is the actual display. 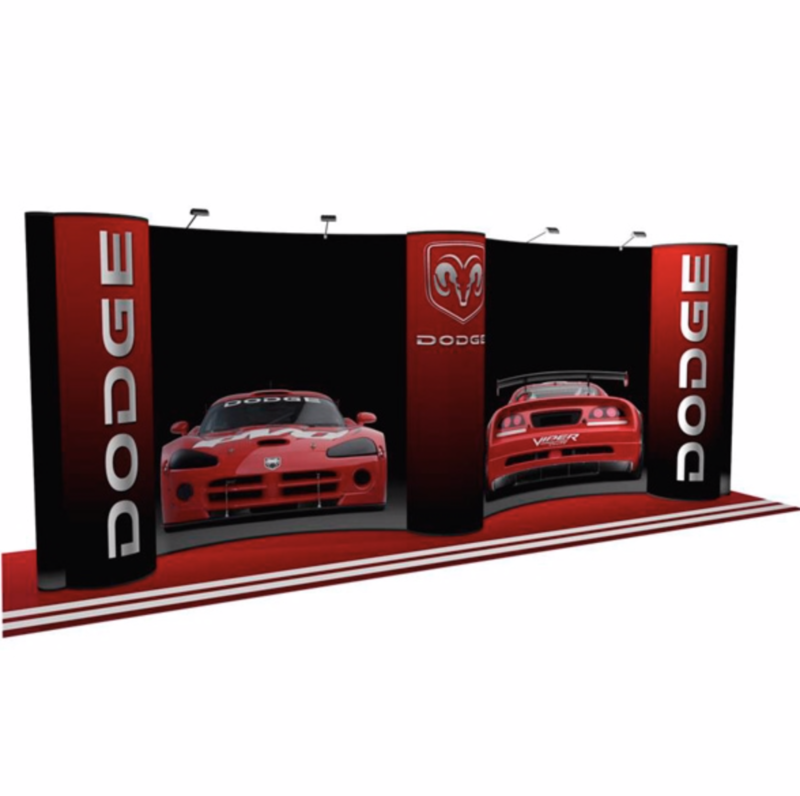 This display can also be used in 10 foot sections or divided into 2 separate popups if you so desire. If you have any questions just let me know. I am selling this for alot less then what I paid and it is a quality product and not something ordered from China. I can arrange shipping/freight or local pick up works as well (Total weight is under 200 lbs and its 3 pieces total). Thank you! Get ready for some serious booth traffic. 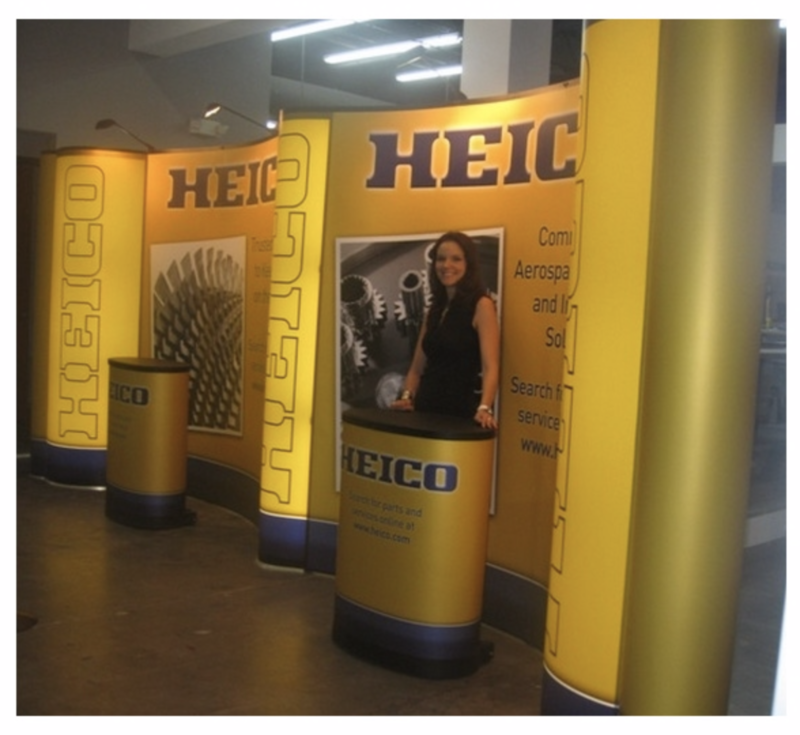 This attractive display configuration includes three backlit bubble panels that will catch your prospect's attention. 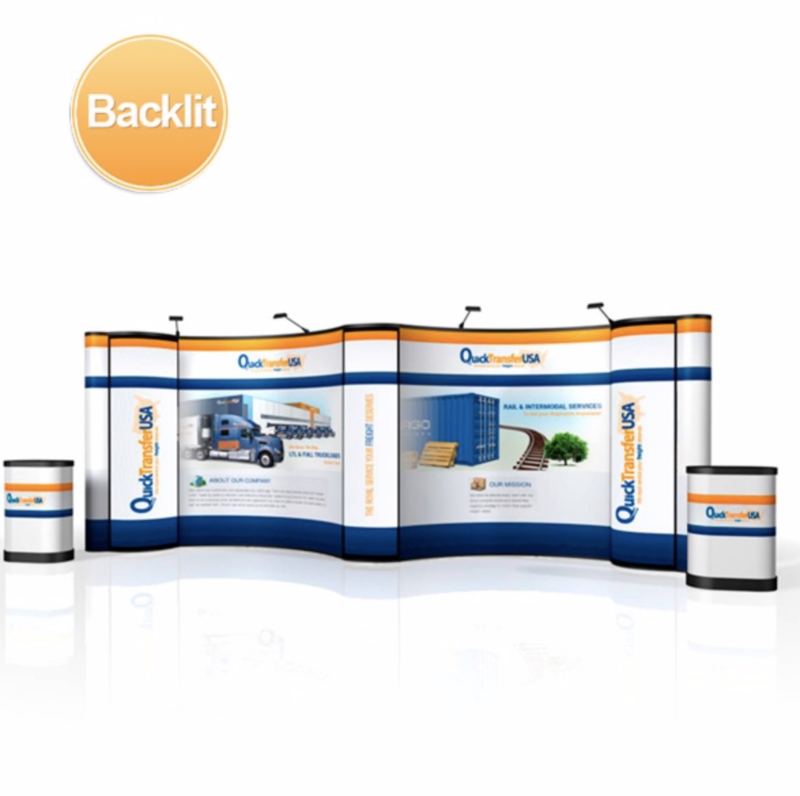 The rest of the panels feature premium laminated photo-mural graphics to render your brand professionally. 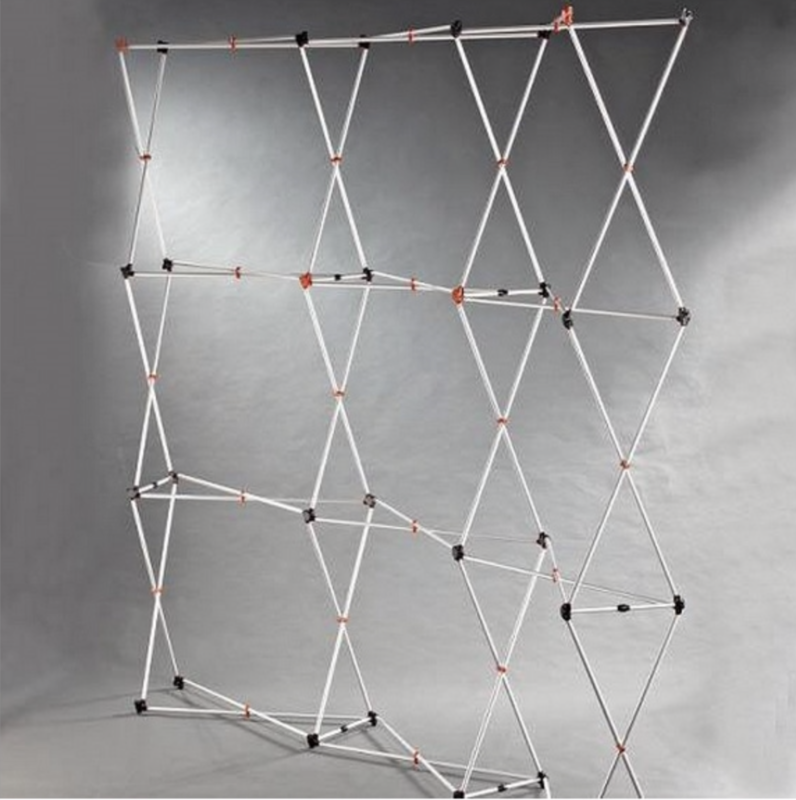 Enjoy the convenience, durability and ease of use of the ENERGY pop up display system. 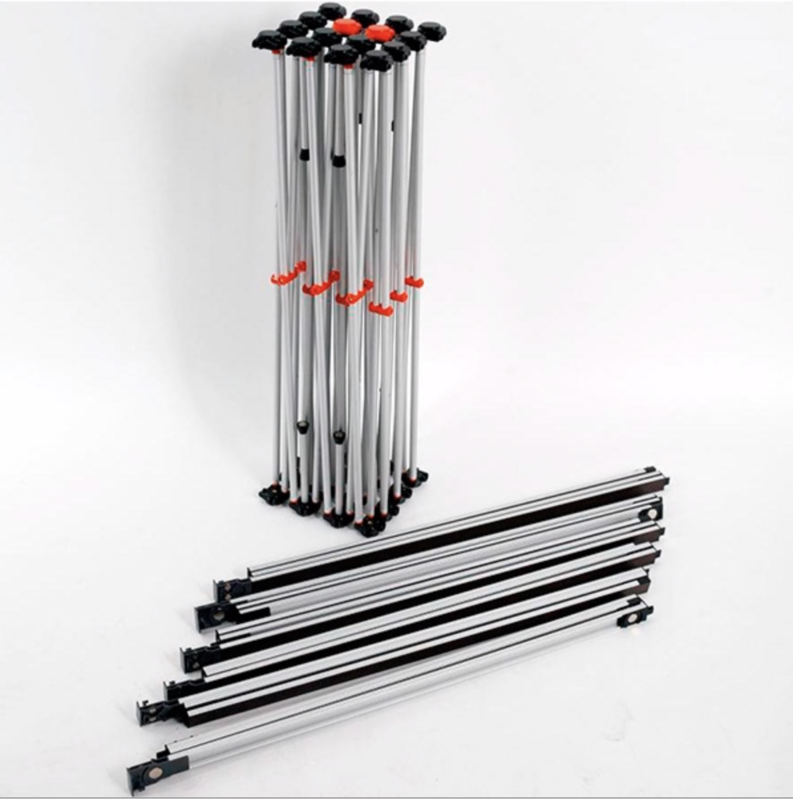 This complete kits includes a LED lights, deluxe hard cases with wheels, and a lifetime frame warranty (This is from manufacturer and I can give you receipt of my purchase so that if you have issues can use warranty with them).